Chemical peels are chemical products that are applied to the skin with the intention of removing superficial layer of skin and replacing it with healthy skin,hence markedly improving the appearance of the skin. The process starts by applying the chemical to the skin in our clinic . The patient is sent home and during the course of the following few days the patient will peel. Once the peeling is over the rejuvenated skin is much smoother with less wrinkles and superficial pigments. 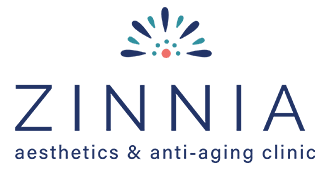 At Zinnia Clinic we use products supplied by two skin care companies. The first group of chemical peels are supplied by Image Skin Care out of Florida. They have 7 different types of chemical Peels. Lightening Lift – contains a cocktail of lightening and brightening agents to reduce sun spots, brown spots and the redness caused by Rosacea. Wrinkle Lift – contains glycolic acid and retinol which exfoliates dead surface skin cells & also improves circulation leading to firmer and healthier skin. Acne Lift – contains a beta and alpha -hydroxy acid combination. Treats acne as well as smoothening the skin. Perfection Lift – contains retinol, peptides plant stem cells and vitamin C, used to treat advanced cases of aging, acne and pigmentation issues. Beta Lift – contains non blended Beta Hydroxy Acid for the treatment of grade III & IV acne. TCA Orange Lift – contains TCA/Salicylic acid peel used to aggressively treat aging and sun damaged skin. Intermediate Peel – formulated for more sensitive skin along with patients being peeled for the first time. The peels will improve dull and uneven skin tone and texture, fine lines and wrinkles, dark spots and sun damage, discolorations, large pores and skin roughness. For more information or to make an appointment for a free consultation please call our clinic at (571) 200-2254.